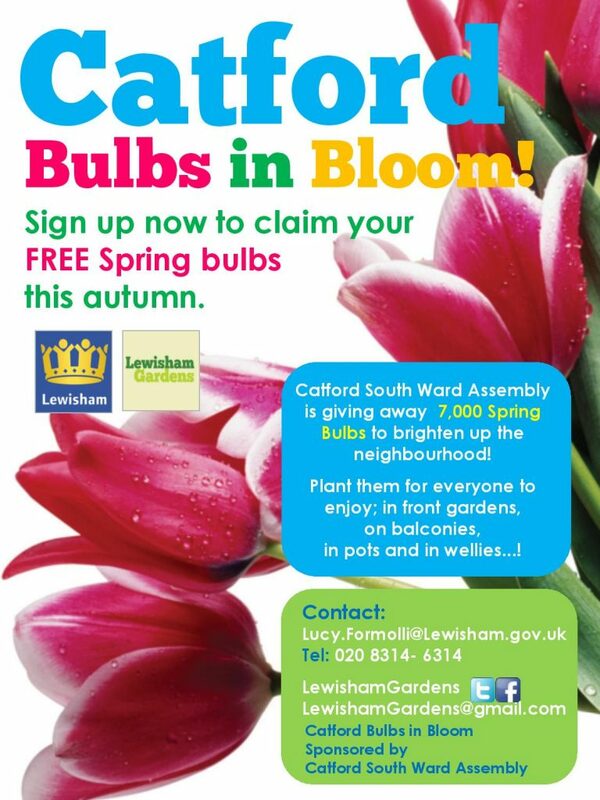 Come along and pick up free spring bulbs to plant in your front garden at this month’s Catford South Assembly. A gorgeous selection of Tulips, Alliums & Daffodils. 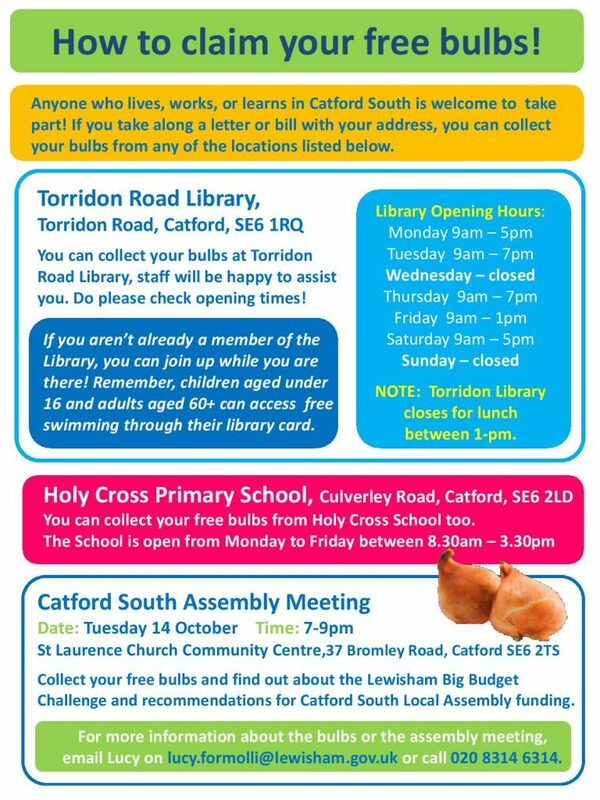 Bulb bags can also be picked up at Torridon Road Library and Holy Cross School. 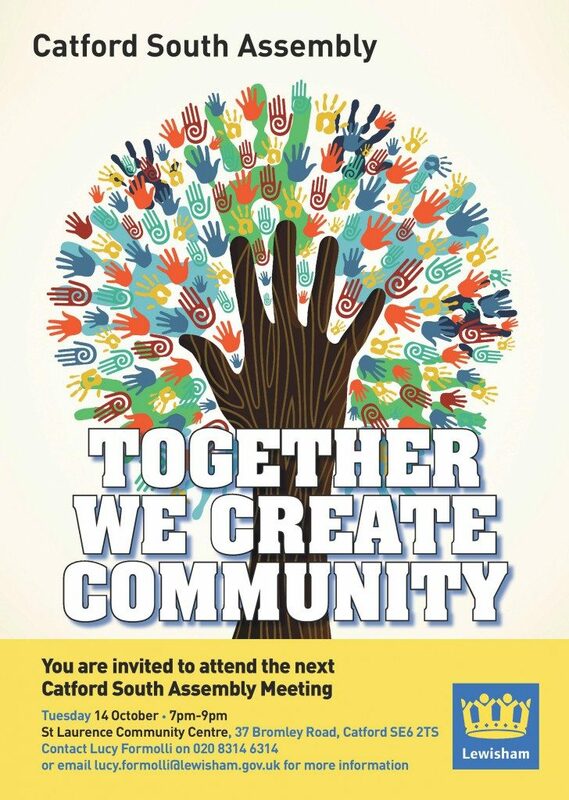 Take along a letter with your address and postcode and then get planting!